For two-thirds of a century, the names Jim and Cathy Marcellus were synonymous with health and education in the community of Mission, BC. The memory of these life-long learners will live on in bursaries designed to help UFV students studying in disciplines that were dear to Jim and Cathy’s hearts. The newly established Marcellus Family Annual Bursary in Health Science and Marcellus Family Annual Bursary in English both offer a maximum of $3,000 per academic year exclusively to support students in financial need. Jim and Cathy were pillars of the Mission community and lived there throughout their 67-year marriage. They died 70 days apart in 2014. The young couple came to Mission in 1947 when that community was desperate for new doctors. Cathy settled into life as a homemaker, while simultaneously feeling the pull to bring more intellectual activity to the community. a Bachelor of Arts from Queen’s University by the time she was 20, this didn’t sit well with Cathy. She helped found the local chapter of the University Women’s Club, and later was an appointed school board member. By the early 1960s, she and a local librarian founded Mission’s chapter of the Great Books Club. More than 50 years later, the group is still in place, with two of the original members still attending. In the 1960s and ’70s, she was part of the campaign to bring post-secondary education to the Fraser Valley, which led to the founding of Fraser Valley College (now UFV). In the 1980s, she was a co-founder of Mission’s Lifetime Learning Society, which provides educational programming for seniors in a variety of general interest and academic subjects. 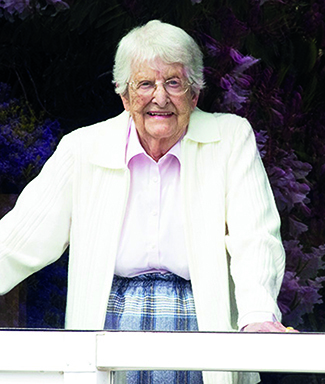 She was a key part of the community lobby to build a new Mission campus for UFV, which opened as part of the Heritage Park Centre in 1996. She returned to university in her 50s, earning her Master of Arts in English literature from Simon Fraser at age 60, going on to teach in continuing education at UFV and in English at SFU. 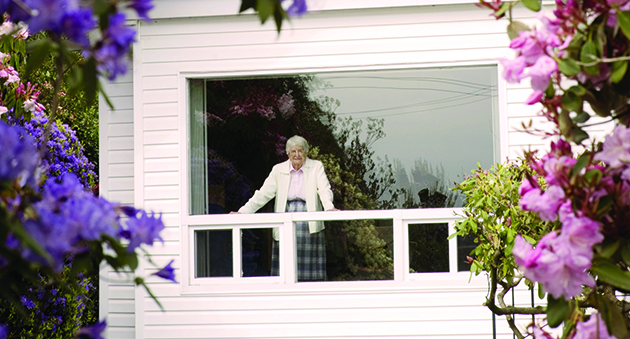 In 2010, in recognition of her decades of community education leadership, she received an honorary doctorate from UFV. Meanwhile, Jim practised medicine, tending to multiple generations of Mission families. When the Mission Hospital was built, but unopened due to political red tape, Jim rallied key members of the community and saw to it that the doors were opened in 1965. Jim was well known for his botanical fascination. His rhododendron garden became an attraction in Mission, and his plants populate hundreds of gardens in that community. 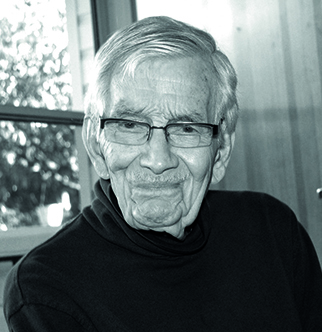 After retiring from medicine, he began his studies in botany at UBC. He created Mission’s official flower, a rhododendron registered with the Royal Horticultural Society and named for his beloved granddaughter Caitlin (who is a proud UFV alumna with a Bachelor of Arts in Psychology and is now a clinical therapist in the Fraser Valley). Jim viewed nurses as the true pillars and unsung heroes of the medical system. So, when his grandson Corey began nursing school at UFV, the family would buy two copies of Corey’s assigned textbooks so that Jim could study alongside his grandson — a testament to Jim’s acute octogenarian mind. A half century after Jim graduated from medical school, he and Corey studied together for many exams. Jim saw the richness of UFV’s Nursing program and was thrilled with the caliber of education his grandson was receiving. My dad was a big supporter of the UFV Nursing program,” recalls Libby, who like her two kids is a UFV alumna, having earned diplomas in Social Services and Fashion Design. 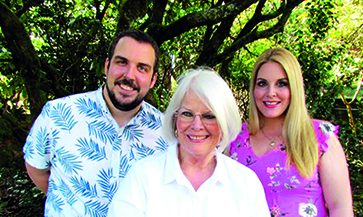 Corey and Caitlin, grandchildren of Jim and Cathy, with their mother Libby. All are UFV alumni. Cathy grew up in a family that placed a high premium on education. Her sister was famed BC historian Margaret Ormsby and her brother Hugh, an opthalmologist, was a co-founder of the national eye bank and worked closely with the CNIB. It was a twist of fate that opened the door to education for Jim. Dad met a man in a bar during the Depressin who asked him what his dream was. When he said he wanted to be a doctor, the man loaned him the money,” Libby recounts. After grandson Corey graduated from UFV with his Bachelor of Science in Nursing degree, he began his career in the Abbotsford Regional Hospital and within four years began teaching UFV nursing students during their hospital rotations. Seeing the financial stresses faced by these students precipitated his family’s decision to offer assistance. When the family considered ways to honour Jim and Cathy’s memory, they turned to UFV, where numerous and lifelong connections have created tremendous regard. “We wanted to honour our parents and grandparents in a very respectful way that reflects their passion for education and helps others in need,” says Libby.